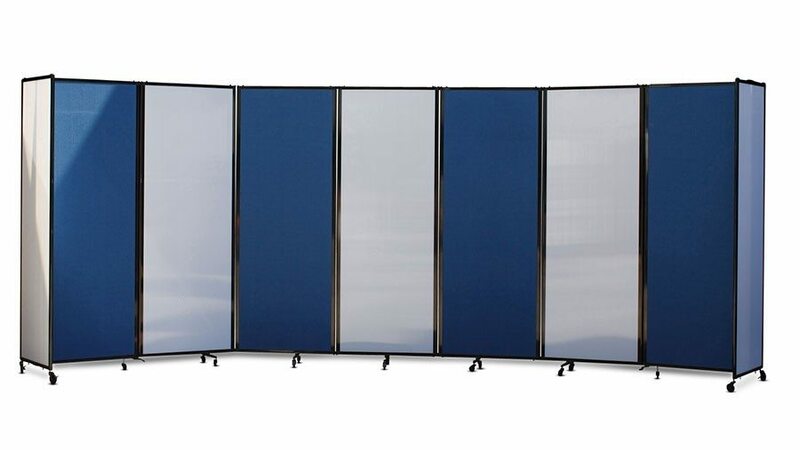 Popular and versatile folding room divider. Easy to fold, move and store. 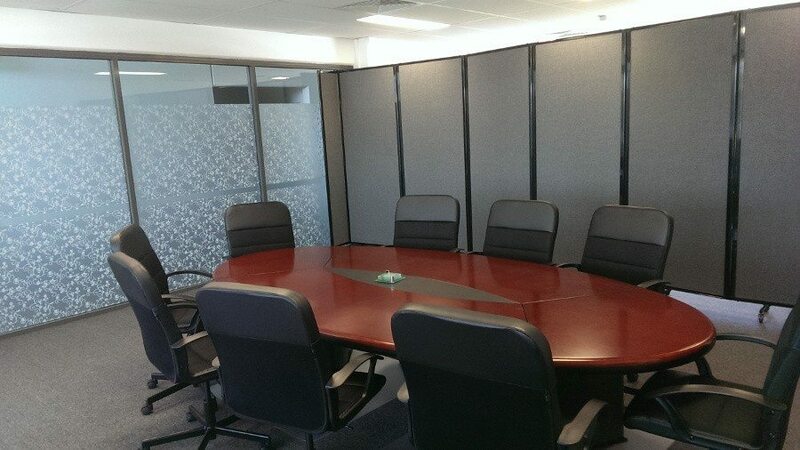 Would you like to add magnetic whiteboard panels? You can add magnetic whiteboard panels which will cover the top 1.2m of each panel. You will need 2 panels to cover both sides. Let us know which panels you want to add them the order notes. Patented 360 degree articulating hinges allow full rotation of each panel to allow easy manipulation and infinite configurations including zig-zag, L-shape, curved and straight line. 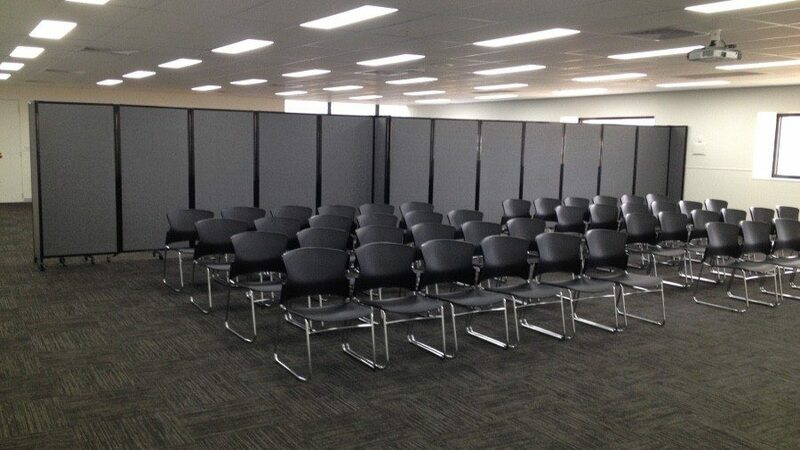 Engineered acoustic panels manufactured from a honeycomb cell core, fibreglass sheets on both sides and specialist acoustic fabric for superior acoustic performance. 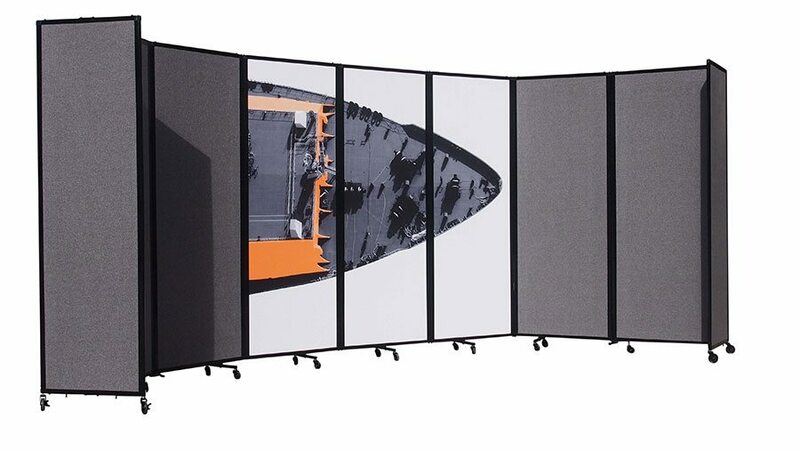 Fully tackable surface accepts pins and Velcro for posting artwork or signage allowing you to create your own mobile gallery or display board. Fully pinable custom designs are possible. Youir imagination is the limit. Our patented no-pinch hinges reduce the possibility of fingers getting pinched. Extra partition stability is created via full panel end members. Room divider frame is constructed of extruded aluminum profiles joined with cast aluminum corners joints for light weight strength and durability. Includes a unique transportation lock to hold it in the folded position while moving the room divider from location to location. What size does it fold down to? An approx floor footprint of 85cm x 85cm for easy storage. Multiple units can also be nestled together. Can the product be customised? You can mix ‘n’ match fabric colours as well as finishes (fabric and polycarbonate) to create your own unique product. Company logos and artwork can also be printed directly onto the fabric panels. Heights can also be customised, but not lengths. Does the divider provide good sound insulation? 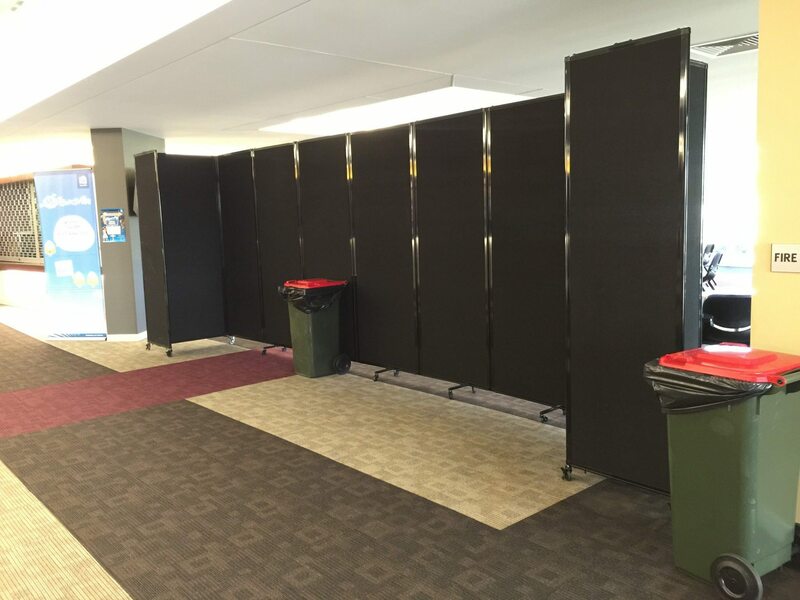 This is the bulk of our business where somebody requires a sound barrier or sound dampening solution. 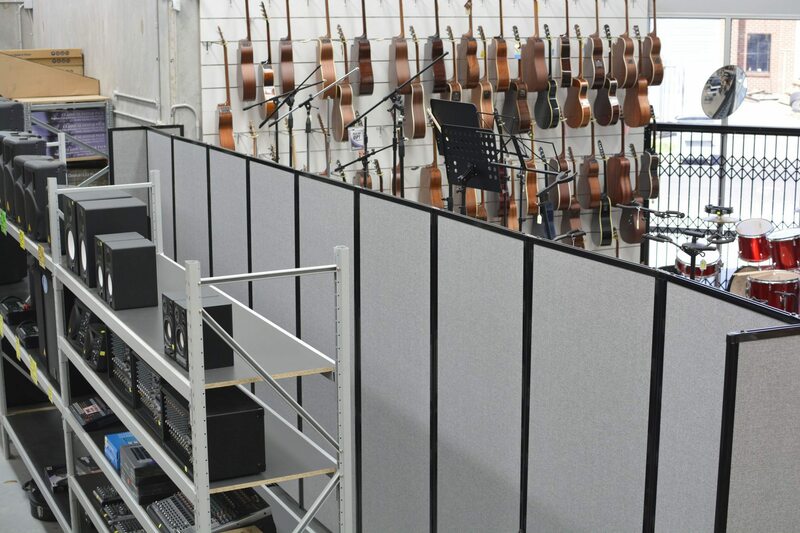 Our fabric range uses engineered acoustic panels manufactured from a honeycomb cell core lined with fiberglass and a specialist acoustic fabric for superior performance. Can I easily pin artwork to the panels? 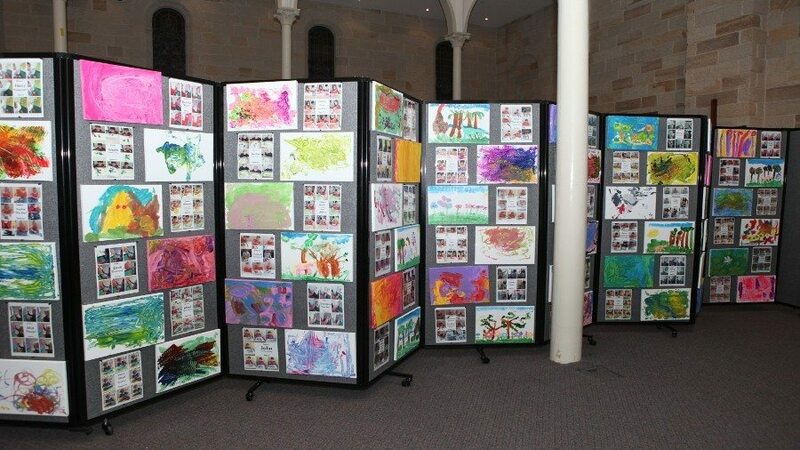 You can pin, tack or velcro artwork/signage directly the fabric panels and use the room divider as a mobile gallery, noticeboard or interactive wall. Many of our school and office customers make great use of this feature. Are the dividers easy to move around? Absolutely. This is one of the key product features of a fully mobile system. One person can easily fold and move the partition from location to location.